So who isn’t a big lover of carbs? I mean potatoes… SWOON! Since eating healthy I’ve come up with a bunch of yummy alternatives to satisfy mine (and my kids) carb craving. This Shepard’s Pie does just that and more. Inspired by my meat sauce and my mashed potatoes, I came up with this yummy combo! Preheat oven to 350 deg. In a frying pan, on medium heat, brown all the meat. Once it is all browned add the tomato sauce and diced tomatoes to the pan and a pinch of the salt. Turn off the heat and allow it to sit for 10 minutes. Then add the egg beaters and stir well to combine. 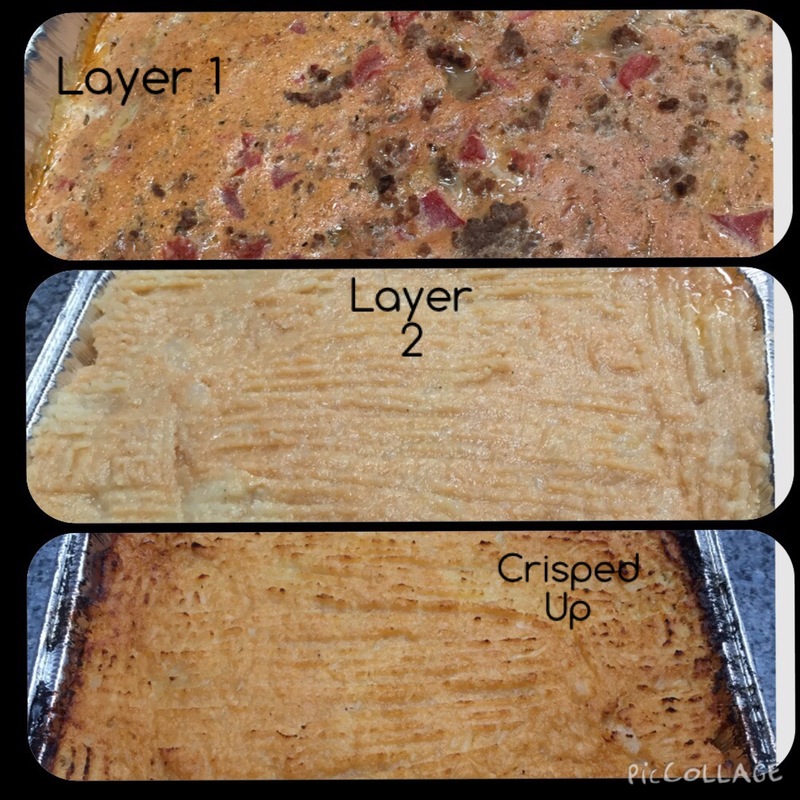 Pour the mixture into a 9×13 pan (Layer 1). Bake in the oven for 30 min. Put all the cauliflower into a pot on the stove with 1 cup of water and let it boil. Once everything is soft, drain out the water. Start mashing the cauliflower into mush with a fork. Add the garlic cubes, salt, black pepper, margarine and mustard. Gently spread the mixture out over the meat (layer 2). Raise the oven temperature to 450 deg. and crisp up the top. Since this wont be eaten until Shabbos, I don’t have a picture of it cut open. Here are the stages as it was put together!